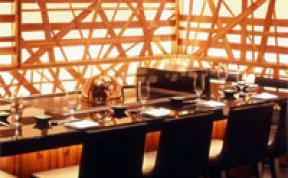 Among the specialty dining at MGM Grand, Shibuya stands above as the ultimate destination for Japanese cuisine. Using freshly prepared ingredients, stellar sushi, and the widest sake selection this side of the Pacific, Shibuya has become a Vegas favorite. Inspired by the namesake district in Tokyo, Shibuya goes beyond sushi with their teppanyaki, and draws design inspiration from the urban landscapes of Japan for an inviting and modern atmosphere.